Why Canadian Garage Doors Serve You Best | McKee-Horrigan Inc.
Homegrown versus foreign – it’s a common argument that crops up over nearly everything. Whether it’s the average person looking at product reviews on Amazon, or the Canadian government arguing about job creation, it’s a topic that comes up often. The choice is sometimes a complicated one – there might be pros to foreign products that must be carefully compared to the Canadian alternative. When it comes to one product though, there’s no question – Canadian garage doors reign supreme. Customers have noticed before that we offer Canadian doors. This is true for when we’re working with residential garage doors so that homeowners can feel safe and secure at night. We make sure that these insulated doors keep your belongings safe and sound while keeping any unwanted intruders – animal or human – out. And when we’re working with commercial garage doors, we know your business weighs on these pieces of machinery working perfectly. So why do we have so much trust in Canadian doors and Canadian companies? We explain the facts as to why we prefer homegrown talent over foreign competition when it comes to our products. There were a few events in recent history that Mississauga residents aren’t going to forget anytime soon. Was it the Olympics, or a recent sporting event that drew the eyes (and cheers) of a nation? Nope. Perhaps it was some political event or headline that will make history? We’re not thinking about that either. Well, what could it be? The recent events we’re thinking about are a bit more natural than the examples above. Rainfall, snowstorms, and ice gathering might sound like they’re no big deal – but if you live in Canada, you know exactly how big a deal they can be! In the last couple of years alone, Mississauga residents have had to deal with record rainfalls that flooded the streets, shut down transit systems, and caused countless amounts of property damage and disruption. 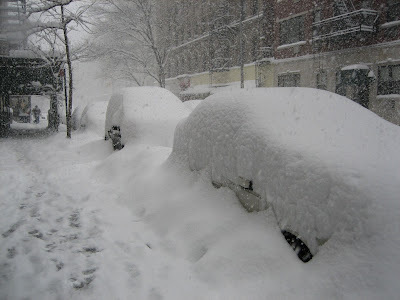 In addition, there have been record snowfalls that blanketed the city in a heavy layer of impassable snow until the plows could come around, and ice would blow out power transformers. And don’t think that winter is the only time we deal with these problems! Summer brings heat, humidity, and sun. If you don’t protect your garage from all these forces, you could pay the price. This is why Canadian doors are so useful. Canadian companies know what the weather is like, and are able to adequately prepare. When we offer a door that says it can stand up to the elements, we know exactly what we’re talking about. A great deal is always tempting. When you see a purse with a big discount on it, or a pair of boots that would suit your purpose, sometimes you just want to go for that low price tag without worrying too much about quality. When it comes to garage doors, however, this is not a policy you should pursue. Your garage’s doors are not an inconsequential part of your home – they shield some of your most valuable possessions, and defend your home from intruders of both the criminal and the pest varieties. Going with the “cheap option” is opening up vulnerabilities to all of the above. Canadians know that their home is their castle, and so they go with doors for their garage that suit the part, instead of going with a cheaper alternative. Have you ever looked at a beautiful canvas or picture, only to find some mistake in the otherwise lovely piece that marred the rest of the piece? If you wouldn’t buy a portrait with something that just isn’t up to par taking up a big part of the frame, you probably would apply the same logic to a home. A lot of homeowners make the mistake of having the exterior of their home be simply unappealing, thanks to an unattractive garage door. Not only are Canadian garage doors more durable and able to stand up to stressors, but they’re more likely to be in appealing styles that Canadian home buyers will appreciate. A solid door is far less likely to require repairs. While regular maintenance is a must, a clean bill of health at each session means you’ll pay far less throughout the year. Furthermore, a well insulated garage door is essential for keeping the heat in and the cold out (or the other way around), and can save you money on utility bills. A lower quality door, however, won’t be able to achieve either of the above; and your budget will end up paying the price. Whether we deal with residential or commercial garage doors, we focus on quality. And it’s for this reason that we’ve decided to go with Canadian doors in our inventory. By offering these higher quality home team products, we give our clients exactly what they need – a sturdy, yet stylish door – that can withstand nearly anything! For more information, check out our blog for more information on our doors, our priorities, and our services.